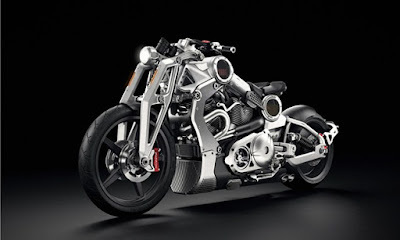 Confederate Motors reveal the 2nd Generation of 'P51 Combat Fighter,' and set its sights on a 200-hp V-twin as the next evolution of the collectible Fighter series; and it has just delivered. Made exclusively from billet aluminum and featuring an advanced frame design that integrates both engine and transmission, the P51 Combat Fighter promises unheard-of performance from any motorcycle in its class. 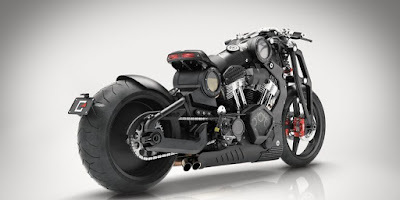 This stout iron horse is carrying The 57-degree V-twin engine with a capacity of 2,163 cc that can spewing power of 200 bhp and one ft/lb of torque at idle for every 1.4 kg of bike. 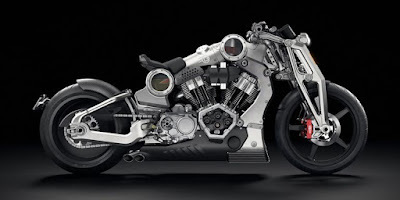 Amazing, unprecedented power from an air-cooled pushrod motor, channeled towards the rear wheel through Confederate’s brand new CX4 powertrain; a patented, drag racing-derived design.